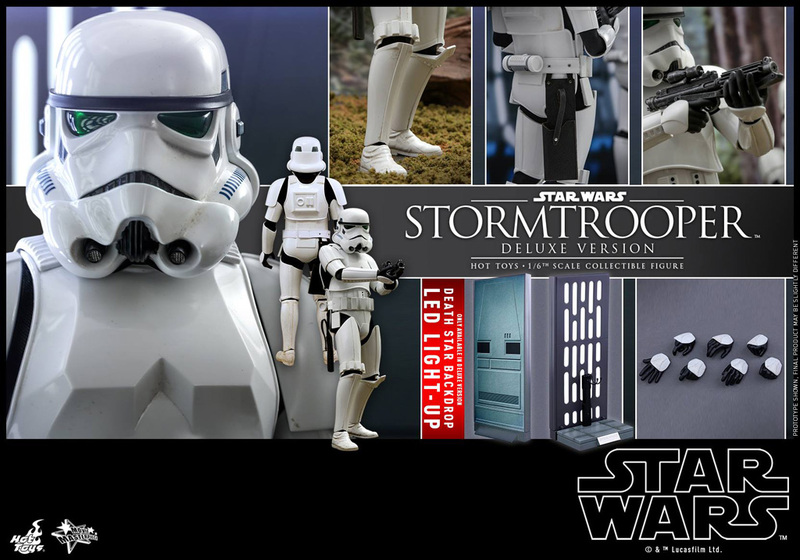 Hot Toys posted photos to their Facebook page of a new Deluxe Stormtrooper from the Original Trilogy. 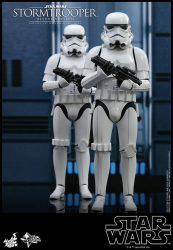 The 1:6 scale figure includes several interchangeable hands, blaster, and a light-up Death Star figure stand. There’s also a regular release that doesn’t include the light-up stand. Head over to Facebook for additional pics and information. 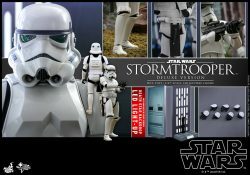 Update: Sideshow now has the Deluxe Stormtrooper available for pre-order for $243. 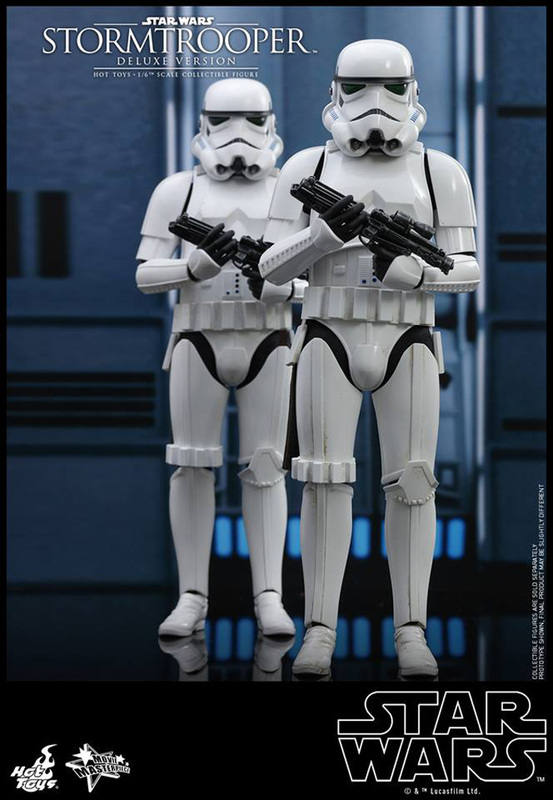 There’s also a regular edition that doesn’t include the light-up stand with Death Star panel backdrop. The regular edition is $189. 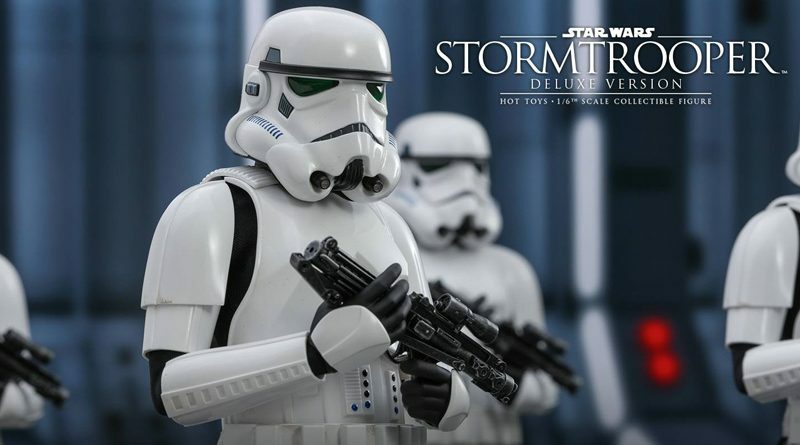 Both releases are scheduled between April and June 2019.